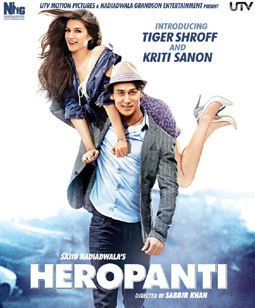 The Pappi Song Lyrics from the movie Heropanti is penned and sung by Raftaar. Its music is composed by Manj Musik. Tiger Shroff and Kirti Sanon has performed on it. Yeh love da season hai..
Aao lai lo free ki pappi..
Kis baat ki deri hai? Mujhse naaraz hai ya badi tu nakhrebaaz hai? Maze kyun le rai hai?